Campaigning in Saharanpur constituency is being considered significant because of its 42 per cent Muslim population. 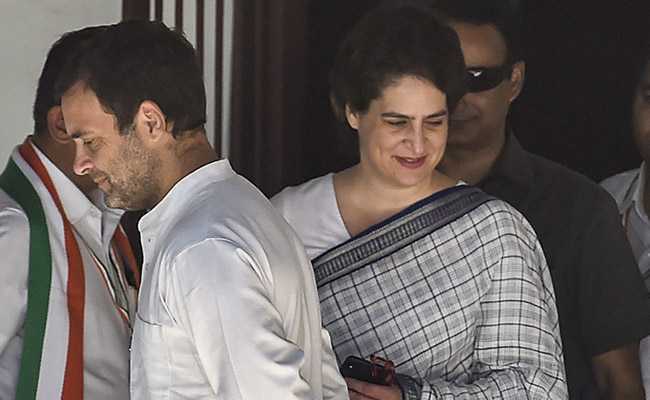 Congress President Rahul Gandhi and party General Secretary Priyanka Gandhi Vadra's rally in Saharanpur on Monday was cancelled due to bad weather. Both leaders were to address a gathering at the Gandhi Park in Saharanpur to seek support for Congress candidate Imran Masood, who has been fielded from the Saharanpur Lok Sabha seat. Congress office-bearers made the announcement after hours of waiting. The official reason given for the cancellation was bad weather. The rally was scheduled to start around 11.30 am. The Congress has repeated its candidate Imran Masood, who had put up a strong fight in the 2014 Lok Sabha elections but had lost. The SP-BSP-RLD coalition has fielded Bahujan Samaj Party's Fazlur Rahman from Saharanpur, which includes five Assembly segments -- Behat, Saharanpur, Saharanpur Dehat, Rampur Maniharan and Deoband. Voting will take place in Saharanpur on April 11, in the first of the seven phase polling.